Working at JK Tyre is not just a job it is a future shaping experience. JK Tyre offers you unique opportunities for personal and professional development along with several benefits and a people friendly work culture that embraces diversity. After the selection of the employee, we take ownership of our decision and provide all possible support and environment for personal and professional growth. We provide an atmosphere, wherein long term relations are built with employees and their families. JK Tyre is a flagship company of one of the leading and reputed private sector groups in India, founded over 100 years ago i.e. 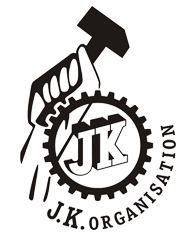 JK Organization. The company is ranked amongst Top 20 tyre companies in the world and awarded as India’s 100 most valuable brands. Innovation, passion and technology have always been the driving force at JK Tyre and helped us to remain pioneers in radial technology. With its operations spread in almost every state in India and Mexico, the company employs over 15000 people along with a nationwide sales and service distribution network of over 3000 channel partners. JK Tyre offers a varied product line of tyres, tubes and flaps for cars, trucks & buses, off the road vehicles, light trucks and farms. Home grown world-class products, an ever expanding product portfolio, and more, makes JK Tyre an aggressive place to be in for a marketing professional. In addition to this, JK Tyre is associated with Motor Sports and this gives a huge exposure in terms of promotions, advertising and strategies. The growth story of JK Tyre throws open a world of challenges and opportunities as well as an opportunity for you to be a part of an evolving story, be it sales and distribution, brands, market research, new product development, business to business marketing or rural marketing and much more. JK Tyre Marketing & Sales verticals are associated with a very large distribution network and a large dedicated field sales force. Brand management at JK Tyre offers you a perspective on creation & implementation of marketing strategy, which includes all the elements of the marketing mix. It is a role where you will be given complete ownership of the brand, its financials and control over all the aspects that drive brand growth. The role also encapsulates tremendous exposure in the fields of advertising, "Go to Market" strategies, consumer insights, market research, consumer & business analytics, media management, handling legal and environmental issues as well as continuous interaction with the sales force. Here you will be engaged in customer engagement, relationship building, market research, product development, branding, niche advertising and promotion and will help you appreciate, identify and leverage key drivers of value - for the customer and for the business. You will be an integral part of the team that constantly drives innovation, growth and value. The Finance & Accounts function in JK Tyres offers roles in dimensions like Fund Raising, Management Accounting, Budgeting, Accounts, and Costing. JK Tyre gives opportunities for working in a wide range of business environments, enabling growth through professional development. Post induction, candidates could be positioned either in one of the plants, the corporate headquarters or in the company's Internal Audit function. The posting could be anywhere in India depending upon the need, as the Company has units and business headquarters in metros, smaller towns and up country locations. During the course of one's career, the individual moves across several such locations. In business finance, employees will be placed and rotated through operational roles, both on the field (manufacturing units/marketing offices) as well as, at the head office. Opportunities for working on specific projects and in cross functional teams are also available so as to provide business exposure and to enable application of conceptual knowledge to business situations and hone leadership capability. The Internal Audit department is very active. Managers work in a live business environment and contribute to the effectiveness of management systems in a fast changing, dynamic set-up. This period entails considerable travel and gives the individual a first-hand opportunity to gain a comprehensive understanding of the company's business systems and strategies at work. After this stint, the manager is positioned in one of the company's businesses at any of the operating units spread across the country. Regular audits at various plant locations or offices add to this challenging job. Based on performance and merit, you will in course of time, be entrusted with the leadership responsibility of heading the function in a unit or business area with a team reporting to you. Across our manufacturing & production setups and offices spread all over the country, we have over 10,206 employees; and the Human Resources function in JK Tyre offers very challenging career opportunities. With a legacy of over a hundred years, management of the human resource relies heavily on the wealth of experience of the past. But at the same time, it constantly reinvents itself to remain contemporary and contribute to the achievement of our strategic objectives. JK Tyre HR policies and strategies seek to ensure that HR Systems and processes focus on building a customer focused organization that further enhances the organizational capability to compete and win the market, starting with the internal customers - the employees. People here are very experienced in their fields and are a unique source of competitive advantage. HR Systems and processes ensure that the potential of our human resources is leveraged to enhance the wealth generating capability of the enterprise and in building a winning organization. We provide an opportunity to experience the diversity present within the Human Resources function ranging from Employee Relations, Employee Engagement & Welfare, Performance Management, Training & Development, Personnel, Salary and Wage Administration, Recruitments and Corporate Social Development initiatives. A typical career in HR entails significant experience in each of the areas mentioned above, which helps you develop as a holistic HR Manager. 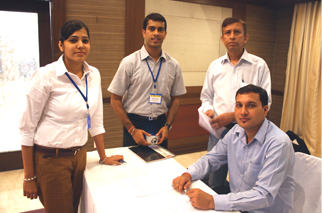 Careers vary from being a part of a unit to heading a unit/region, to heading various functions within HR and finally to heading the function at the divisional or corporate level; and through the campus recruitments you also get a chance to enter the corporate level directly through lateral hiring. You will be encouraged to be a part of various cross functional teams, an experience that will enable you understand how different functions work synergistically to produce business outcomes. 6 plants, best in class technology, state of the art facilities, diversity in roles, processes and businesses, and more makes JK Tyre one of the greatest companies for professionals pursuing a career in the Technical function. We recruit the best engineering minds from both premier engineering campuses across the country and directly from the market for roles in its Technical function. The objective is to service the market with world-class products and huge investments are made continuously to remain at the cutting-edge of technology and most importantly, towards the enrichment and development of our human capital. We visit premier engineering campuses to induct "Graduate Engineer Trainees" into the technical function with different backgrounds be it mechanical, polymer science, rubber technology etc. For professionals recruited from the market, roles are offered in keeping with the nature and length of their experience. The roles range from entry level roles to the ones which involve management of entire departments such as Production or Engineering and may also include, the Vice Presidents of the plants. The roles can range from operations, maintenance, engineering, project management. The role can involve heading a small department of 100-150 employees or managing a project involving substantial capital expenditure or managing the supply chain and logistics. The roles also include managing the maintenance activities for the plant or can be in the core engineering areas. Therefore each role has a totally different flavor of its own and therefore its own challenges and learning opportunities. In the technical function, you will be rotated across these roles to provide you with wider exposure and overall business perspective. Based on performance and potential, you will be moved up to head a department from the date of joining the company. From there again based on merit, you will be given the opportunity of becoming the head of an entire engineering department of the factory or the production department and going forward the opportunity to head an entire factory. We are the first to have research development centres on our name in the country in the field of tyre manufacturing which are HASETRI (Harishankar Singhania Elastomer & and Tyre Research Institute), Kankroli; Rajasthan and Product Development Centre, Faridabad, Haryana, Raghupati Singhania Centre of Excellence for Tyre and Vehicle Mechanics, Chennai and Test Track, Chennai. JK Tyre Tech Centre, near Delhi, is the nerve centre for new product development catering to current and emerging needs of customers. This centre is engaged in product design, development, validation and industrialization jointly with HASETRI and RPS Centre of Excellence using different advanced tools and techniques. HASETRI is Asia’s first and India’s biggest and foremost research centre which fulfils the need for developing newer and better technologies for tyres and polymers. The primary goal of this autonomous institute is to foster development and evolution of new technologies for rubber & allied Industries, for domestic and international markets and also to develop technical manpower for the industry. HASTERI, located in Rajasthan, is actively engaged in material, compound characterization & development, advanced analytical testing and process & machinery development. Raghupati Singhania Centre of Excellence for Tyre and Vehicle Mechanics is a joint venture with IIT Madras and is a true example of ‘Academia Industry Collaboration’. It is equipped with advanced computational facilities for carrying out research in the area of Tyre/Vehicle Dynamics, Tyre/Road Noise, Foot Print Mechanics and Non-Destructive Test Development using Simulation & Predictive Techniques. We have engineers and technical specialists recruited in these centres to offer the best to the market and the customers. The objective of the materials function is to ensure that products are available always fresh, at the right time and in the right place. A career here will involve roles in Supply Chain Planning which involves demand and supply planning or in Physical Distribution which involves warehousing and transportation. The complexity of JK Tyre Supply Chain network can be gauged by the fact that JK Tyre currently has more than 50 warehouses and 6 plants spread across the country and over 1200 trucks transporting tyres, tubes and flaps on a daily basis! Over a period of time you will gain significant exposure to different aspects of the function thereby obtaining an end-to-end view of these functions. The logistics function here is responsible for distribution of 18 product categories and 75 sub product categories to over 2 million outlets distributed over 1 lakh markets. The wide product range, uniqueness of each category in terms of requirement, large network operation and early responsibilities make a career in these functions extremely challenging and enriching. Involvement in planning will enable you work in close coordination with different businesses and functions within these businesses i.e. sales, production, logistics and with the help of technology such as SAP, constant and unparalleled investments into technology, infrastructure and most important of all into people development through training sessions, makes this function an ever learning and exciting journey. The material procurement for all the plants including some of the international requirement from the Mexico plant is carried out by the Head office and the material required always reaches on time. This task requires alertness and fast employees who work to the best of their abilities so that the production is on and any lag in the system is prevented.